Janet Steinwedel, PhD, is the President of Leader’s Insight, an Executive Coaching and Leadership Effectiveness consultancy. 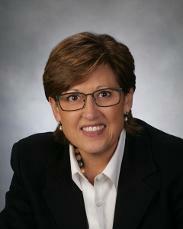 Janet provides thought leadership as a consultant and executive coach. She assists leaders in clarifying their goals and objectives and becoming more aware of themselves and their behaviors in service to their aspirations and business results. With 25 years of experience working in industries including pharmaceutical, health care, financial services, insurance, communications, retail, and hospitality, Janet works effectively with a broad range of leaders. She uses an analytical framework which provides a foundational understanding of personality and human behavior—conscious and unconscious processes. Areas of focus include relationship building and stakeholder management; personal branding, communication and collaboration; creating and sustaining a work/life strategy; critical thinking and decision making; issues of diversity and cross-cultural working; and developing agility and resilience for success in today’s work place. Janet has held significant leadership roles including Senior Director of Leadership and Business Effectiveness at AstraZeneca Pharmaceuticals, where she led Executive Coaching, Leadership, Organizational Development and Diversity groups; Assistant Vice President of Leadership and Organization Development at Delaware Investments; and Director of The 5th Avenue Club at Saks Fifth Avenue. Her work and achievements have been profiled in Investors Business Daily, Fortune Magazine, U.S. News and World Report among others. She is published in the November 2006 Global Business and Organizational Excellence journal* and in the July issue of Nursing 2014**. Janet earned her doctorate in Human and Organizational Systems and is a regular speaker on Leadership and Executive Coaching topics. She is a 25 year member of the Philadelphia Human Resource Planning Society where she has held various leadership roles. Janet is also a member of The Delaware Valley Association for Psychological Type. November 8, 2018 - Janet presented on the landscape of executive coaching at the Philadelphia Society of People and Strategy combined SIGs: Talent Management & Executive Coaching. Leader’s Insight wants to ensure the best resources for the opportunities that come our way, as well as a timely response to client needs. Having interviewed hundreds of coaches and consultants, primarily on the East Coast, USA, Dr. Steinwedel has numerous contacts in the business. Leader’s Insight regularly draws on a small alliance of individuals with specialty skills and leadership strengths –individuals who align with our core values of integrity, fairness, accountability, excellence, respect and innovation. The men and women who align with Leader’s Insight are experienced and excel as organizational development consultants, HR consultants, leadership and executive coaches, as well as business coaches (focused largely on the business, including finance and operations, as opposed to relationship, network, and personal development). Our alliances are committed to their ongoing personal and professional development. They have a balance of both internal and external consulting experience, ensuring they understand the context of organizational life, and the stresses and challenges that come with such roles. In September 2018 Janet was certified in the Hogan Leadership Suite assessments. You can now purchase the 2nd book in the Steinwedel Red Book Series: Authenticity as an Executive Coach: Waking up the Wounded Healer Archetype. Janet is currently leading the Executive Coaching SIG (special interest group) for the Philadelphia Society of People and Strategy. Janet continues to provide adjunct teaching in Villanova’s MS/HRD program. Her next class on Executive Coaching will take place in Summer 2019. See Janet's blog post, "Executive Coaching...Micro Learning At It's Best," on the Villanova University HRD Corner page. 5/2018 Webinar - ASA Committee on Applied Statisticians: “Teamwork and Collaboration"
4/2014 Podcast - Peak Development Radio: "Cross Boundary Communication"
“Working with Janet one-on-one and in small group has been the most rewarding experience I've ever had."